This application has been recommended by one of our readers. For those unfamiliar with the Eurosport channel, it’s a TV channel where you can see everything about sport that is not normally broadcast by conventional television channels. Although still have great events like tennis, cycling or UEFA Youth League that is gaining followers, including the Women’s Champions League. With the Eurosport Player application you can see this content like never before. 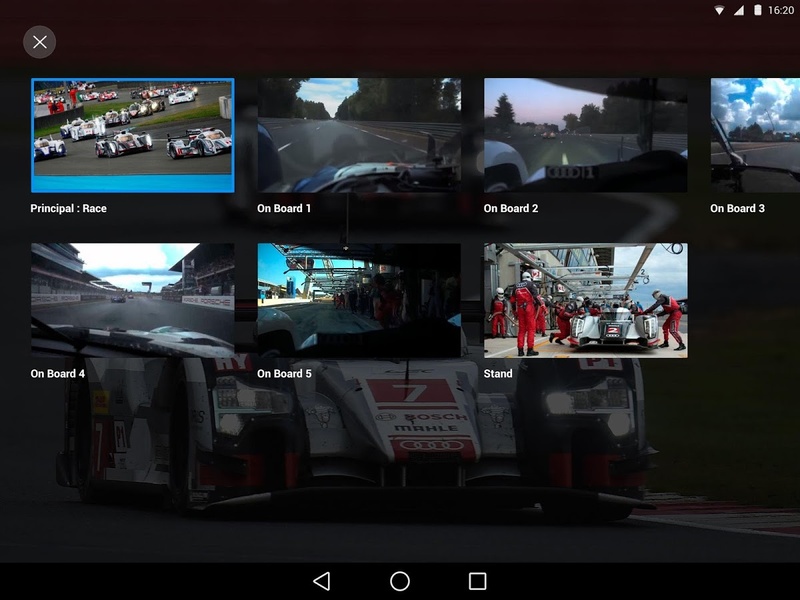 For example, you can watch simultaneously 7 Roland Garros tennis courts or in 24 hours of Le Mans, choose between different camera angles to immerse yourself in a unique experience. Also, if for whatever you’re late to see any of the events you want to see live, includes a transmission service in which you can rewind up to three hours to not miss anything. With this application you will enjoy the following events throughout the year, plus the latest information on news and statistics for all those sports in which you’re interested: French Open, US Open, Australian Open, ATP&WTA tournaments. Giro d’Italia, Tour de France, Vuelta, Spring Classics… Le Mans 24 Hours, Endurance FIM World Championship, British Superbikes, World Superbikes, Speedway Grand Prix, FIA WEC, FIA WTCC, FIA ERC. Athletics World Championships, Swimming World ChampionshipsFifa Women’s World Cup, UEFA Youth League, Women’s Champions League… In addition to Alpine skiing, Ski Jumping, Biathlon, Snowboarding, Freestyle Skiing and Snooker season-long coverage including all major ranking events. 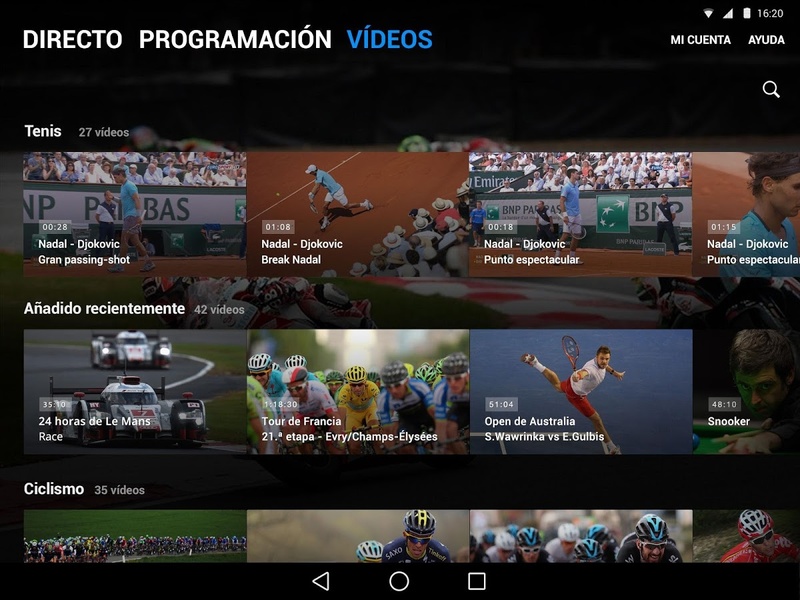 Note: Eurosport Player application requires a monthly or annual subscription that you can buy when you download the application to your terminal. The content may change from one country to another.